Little Mrs. Married: "Getting to know You" Sunday. 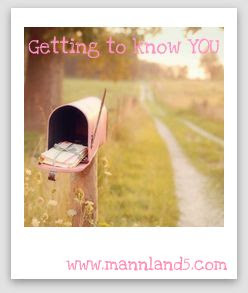 Today is Getting to know You Sunday at MannLand5. Head on over there if you'd like to play along! Good questions this week! 1. If you had to choose a country to live in besides the USA, which would you choose? England. Or Italy - though i'd have to learn to speak Italian, because i could not deal with the language barrier for too long! 2. Which would be worse - wearing flip flops in the snow or gloves in the summer? 3. Fried or Baked & why? BAKED. For health reasons, obviously. I've fried foods here at home maybe once or twice... though when out to eat sometimes i'll have fried food, because it's just ohhh so yummy! Mostly, though, i try to refrain! Baked is SO much healthier! 4. If you were an entertainment reporter, which celebrity would you want to interview & why? 6. List your Top 3 guilty pleasure television shows? But i married a man with no TV & so i had to get used to that...then we bought a TV but for movie purposes only. Then we got an antenna to get channels that we could get without cable - & i rarely turn it on! I only watched it during American Idol! Crazy... I got used to not watching it. 7. What bumper sticker best describes your attitude, your life? 8. If you were to join a circus, what performer would you be? HAHA - that's funny - i was thinking trapeze artist, but that's not good for someone who trips over her own feet! I guess the Ringmaster!? Can i just sell peanuts & cotton candy? Oh my goodness, that is exactly what I would have put for number 5!!!!! Seriously!!!! In that order!!!! 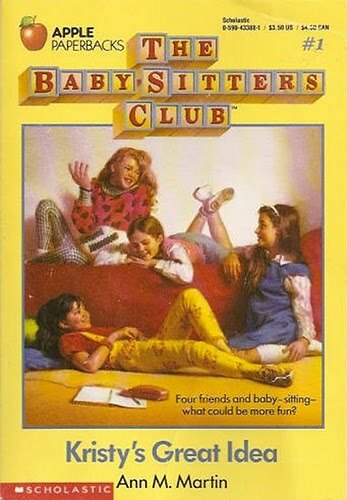 I had ALL the babysitter's club books, remember the white ones that were like the "special" ones where they went on trips and stuff? Geez....just looking at that picture of the book you put on the post is a BLAST from the past!!! I love Amy Adams!! I just saw Julie & Julia, and just remembered she was in Sunshine Cleaning too. Both were great movies! 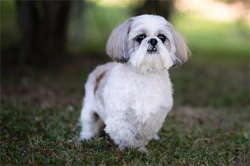 Stopped by from GTKYS - your blog looks great!